A woman breastfeeding her child was recently asked to “do it in the bathroom” when she was approached by personnel from Parrot Island Water Park in Fort Smith, Arkansas. Allison Reeves-Plummer shared her negative experience with a closed Facebook group, and this action prompted others to voice their disapproval of the city-and-county-owned water park’s actions on other social media outlets. Local news bureau 5NEWS covered the story and had many passionate parents commenting on both sides of the issue. The park’s general manager, William Miller, issued an official apology and offered accommodations for nursing mothers in air-conditioned, enclosed areas if they would choose to use them, but confirmed that women are allowed to nurse anywhere on the property. We at Moms Pump Here are happy to see management recognize the need to enlighten their employees with the updated policies (and laws) which help moms find places to nurse and/or use their breast pumps when they’re away from home. 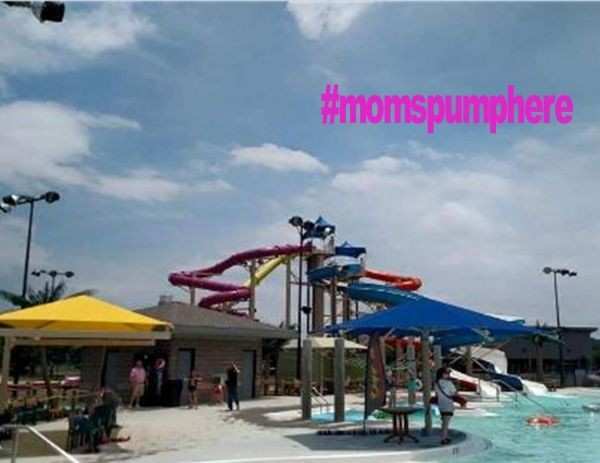 Parrot Island Water Park is now listed with Moms Pump Here as a place where moms can nurse and/or pump in a safe, clean location.